Well, we know the name fits. 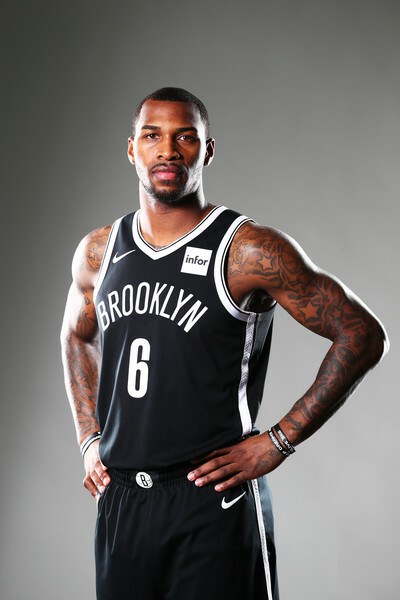 Sean Kilpatrick as a potential member of the Boston Celtics? It looks like it may happen. Celtics expected to sign Sean Kilpatrick to 10-day contract later today. Combo guard most recently played through two 10-days with Clippers. Kilpatrick averaged 13.1 points per game on 41.5% shooting last season as a starter for the Brooklyn Nets, but struggled this year as he bounced from Brooklyn to Milwaukee and then the LA Clippers. Kilpatrick scored 15 points on 5-for-10 shooting on Tuesday, but was not kept for the season when his second 10-day deal expired this week. With Kyrie Irving set to miss some time due to a minimally invasive knee procedure, the Celtics will now qualify for a hardship exemption. The Celtics can open up an extra roster spot until Irving returns and they will use that spot to sign guard Sean Kilpatrick to a 10-day contract per Mark Murphy of the Boston Herald. Once the Medical Hardship Exemption is granted, The Celtics can sign Sean without waiving a current team member, at least for the present time. This is obviously a temporary fix considering Boston's short-handed current roster. But it does allow Danny Ainge and Brad Stevens to take a close look at Kilpatrick as a possible long-term addition. Celtics - Sean Kilpatrick. Sounds right.